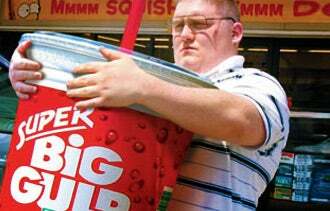 The folks selling mega-sodas at food courts and fast-food drive-thrus are not very sweet on New York Mayor Michael Bloomberg's plan to trim hometown waistlines by banning sugary drinks larger than 16 ounces at city dining establishments. The International Franchise Association weighed in on the debate this week, submitting comments to the New York City Board of Health opposing the ban. The IFA contends the proposal "would do nothing to reduce obesity" and could result in negative economic consequences. "Limiting the sale of beverages to consumers will do nothing more than force small-business franchise restaurant owners to raise prices on other items to account for the loss in sales, or worse yet, consider laying off workers, and neither option is a good option," Judith Thorman, IFA's senior vice president of government relations and public policy, said in a letter to the board. Restaurant owners also would be forced to purchase additional equipment or spend money on remodeling -- operating costs that "will be significant and borne by thousands of businesses," Thorman said. The rule, she added, is "draconian." The IFA, part of New Yorkers for Beverage Choices, a coalition opposed to the ban, says franchise businesses support more than 784,000 jobs and $46 billion in economic output in New York State. Arguments over the issue were aired at a public hearing Tuesday, with Brooklyn Borough Chief Marty Markowitz saying it was his overindulgence in pasta, pastrami, bagels and other foods -- not sugary drinks -- that made him overweight. Health advocates link sodas and other sugary drinks to obesity, which is tied to heart disease, stroke, diabetes, cancer and considered a cause of psychosocial problems. The Los Angeles Times reported recently that more than 100 health organizations and city health departments and more than two dozen scientists made those points in a letter asking the U.S. surgeon general to report on sugar-sweetened drinks. The New York board is scheduled to vote on the proposal in September. If approved, it would take effect six months later. Readers, do you think New York City's proposed big-soda ban could hurt small businesses?